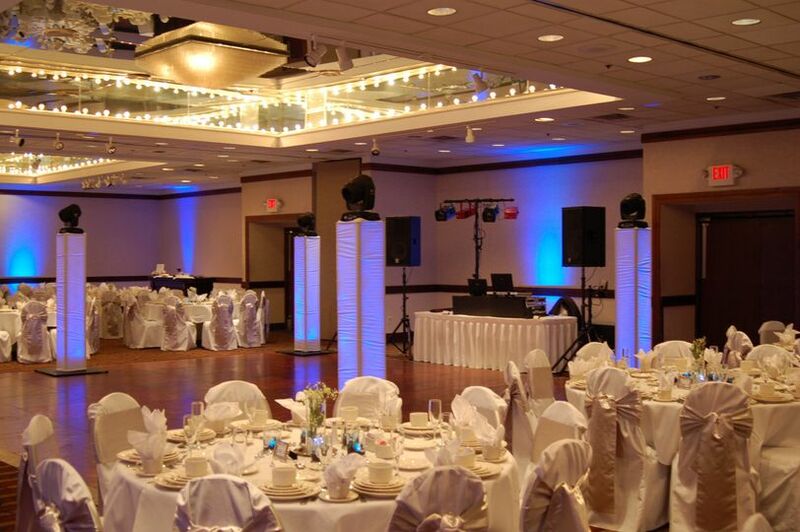 Party 2 Go LLC is a wedding DJ company based in Lees Summit, Missouri. 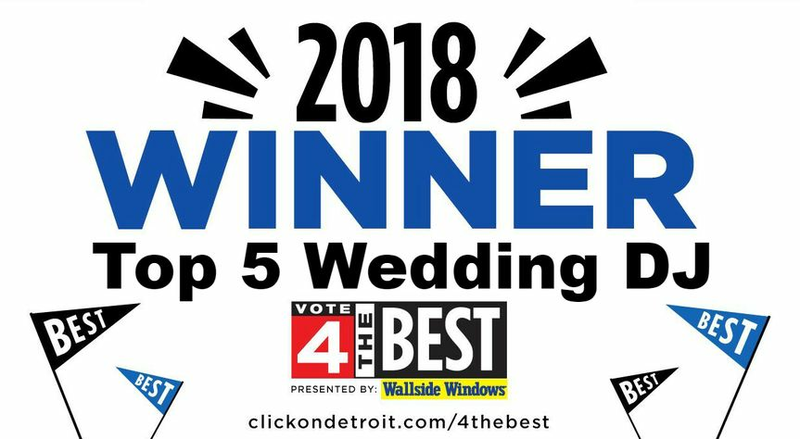 This WeddingWire Couples’ Choice Award-winning company promises a fun and entertaining experience on your wedding day. 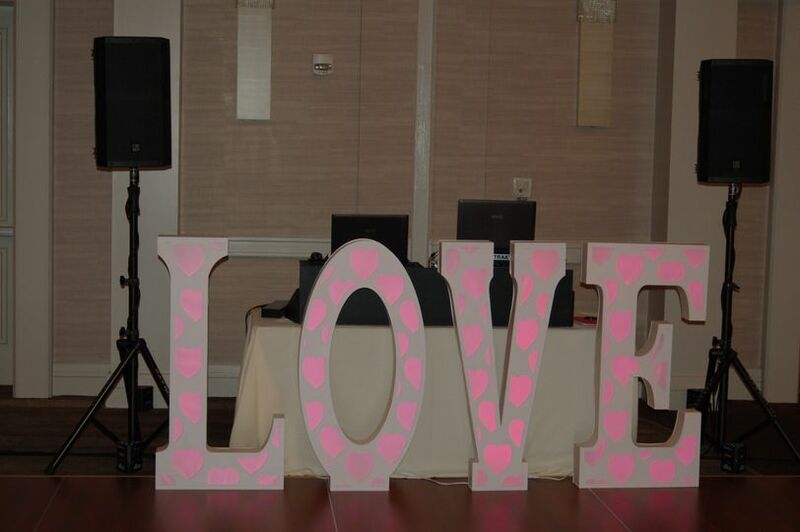 With many weddings serviced and numerous happy clients, Party 2 Go LLC is a trusted and reliable service. 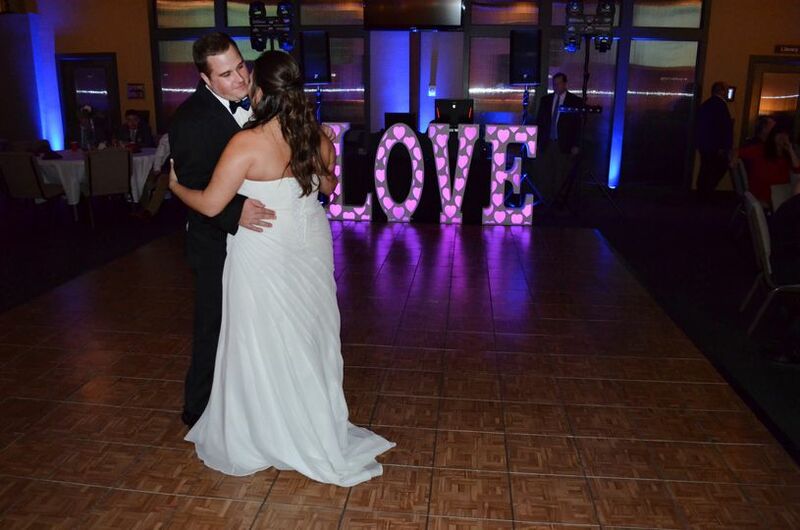 This vendor has a variety of services to offer, making for a customizable wedding reception. Party 2 Go LLC is based in Lees Summit, Missouri, and services the Kansas City metropolitan area. 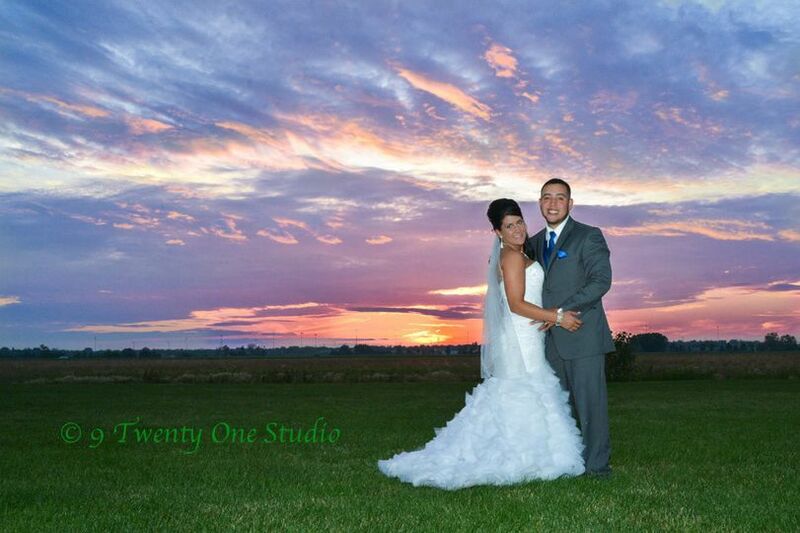 We recently used Party 2 Go LLC for our wedding reception and had a blast! 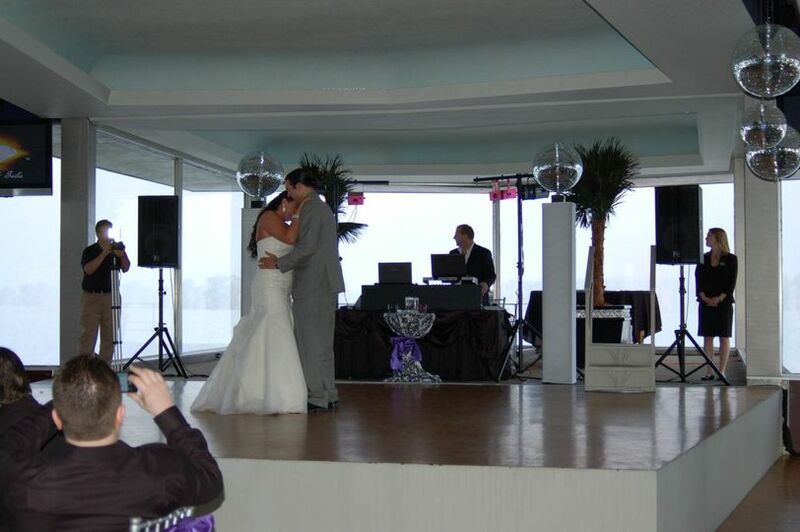 If you are looking for a DJ for your wedding Dan Williams with Party 2 Go LLC is the top choice for Kansas City!! From our initial phone call to the final song Dan was very professional and really fun. He put a lot of effort into creating a perfect reception for us! Dan's prices are extremely reasonable. 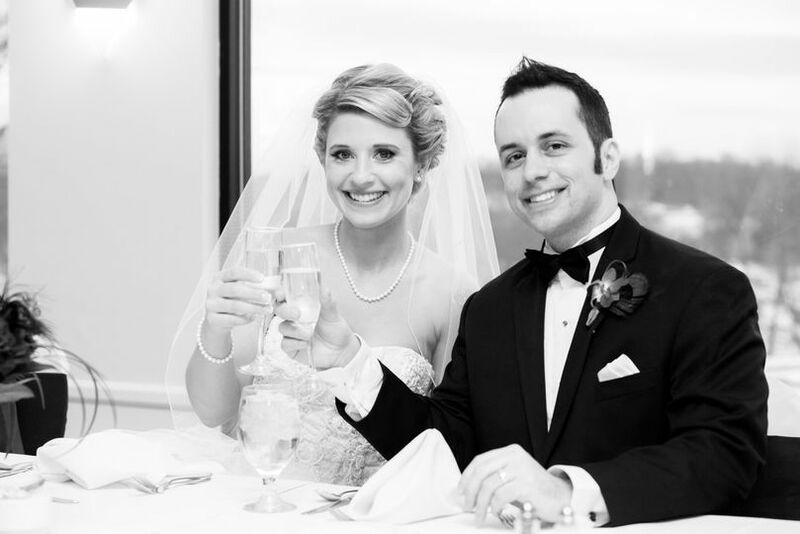 He has a website that allows you to enter in details of your big day and also create your own music choices to help guide him on your taste of music and must have songs. He met with us before our wedding and we spent time reviewing our music choices and discussing our vision of what we hoped for. He guided us through the timeline of the evening and got all the details needed to make for a very well planned and fantastic outcome! He even spent time creating our love story to share with our guests which was a big hit. As the bride and groom we were extremely happy with Dan and his assistant. The room was beautiful! They did our up lighting and it made a huge difference to the ambience of our venue. Dan kept the event on track and it was flawless. We moved through all of the traditional intro, speeches, cake cutting, first dances, bouquet/garter toss smoothly. 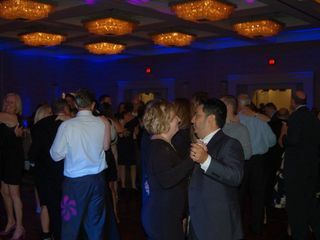 Once the dance floor opened up for the guests it was packed all night long! 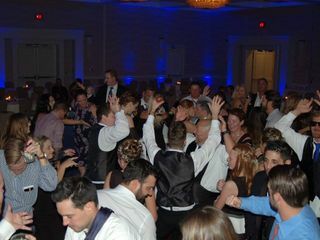 Everyone danced the night away and had so much fun! It looked Iike Dan and his assistant were having just as much fun! Everything about this company is perfect! I highly recommend Party 2 Go LLC, you won't be disappointed!! Thank you Cathy-Anne, We loved how the up-lighting in room turned out as well. 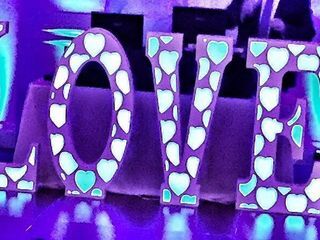 Our new Love sign looked awesome in in front of our table too! Of course your love story was great because you have an awesome story! At the end of the night we saw that the dance floor had moved about 2 feet. That's right there were so many people having a great time and dancing they inadvertently moved the dance floor across the room. We've never seen that before. Now that's a great party! Thank you so much for allowing us to be a part of your celebration. If I could give 10 stars I would. Dan is a true professional and I will be recommending him to all of my friends and family. He made our lives easier, kept the wedding schedule on time, and was very easy to work with. The music was great, and he was a bit part of making our night a blast. Highly recommend for any event you may have. My husband and I had an AMAZING experience with Dan. When he first met us, he did not pressure us at all with making a decision on dj’ing for our wedding day. He came and answered a million of my questions and showed us pictures from various events he has worked. I felt at ease with picking Dan as our DJ because I didn’t feel pressure to book right away, unlike most dj companies I met with. He had phenomenal reviews about all the events he has worked over the years, and he was very accommodating to us and very detail oriented, and lastly, a reasonable price. We had a BLAST at our wedding reception!!! 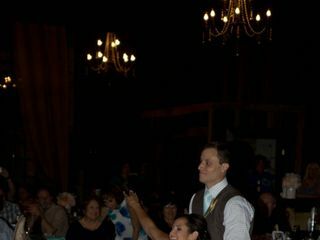 He dismissed our guests to dinner, did the shoe-ly wed game, and all our guests were dancing all night. 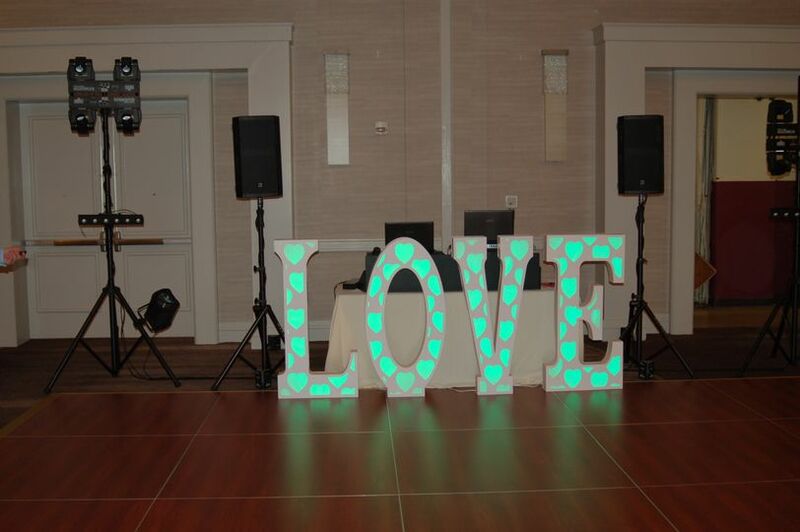 Plus, he even decorated the room with up lighting and a really cool ‘love’ sign in front of his booth. I would HIGHLY recommend using Dan for any event that you might need music. 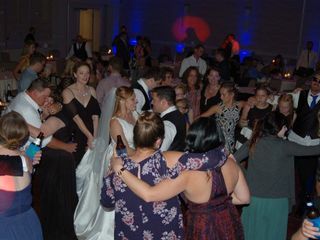 When I was in the market for a DJ for my own wedding, I couldn&apos;t think of a better person then Dan from Party to Go to DJ for us. He is literally the DJ that a DJ would want at an event. 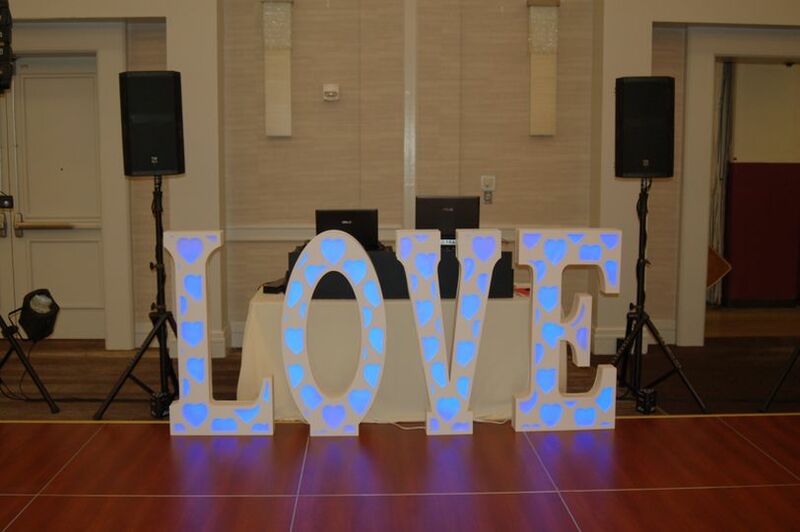 Extremely professional, top notch sound system with the latest lights to add that extra something special to your already special day. 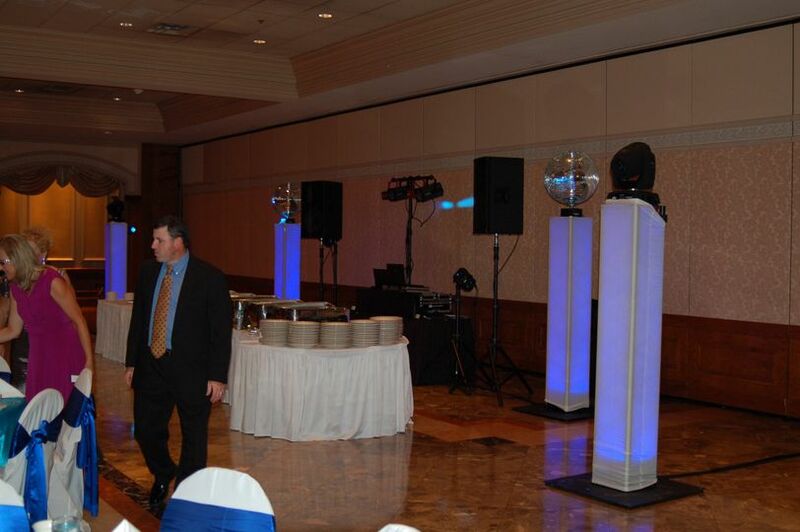 I recently had the pleasure of working with Dan with Party To Go LLC in short he was awesome, the night flowed great. He had no problem communicating with my staff and I about the events to help us to ensure that the bride, groom and guests had a really fun time. we are definitely looking forward to working with them again.